It’s not all about web design and SEO strategies all the time for Optimize Worldwide-owner, Matt Morgan. Born and raised in beautiful Northern California, Matt is no stranger to the great outdoors and started hitting the motorcycle trails at the young age of 3. Now, when he isn’t helping local and national businesses gain more online exposure, contributing to an assortment of search engine optimization blogs and sitting on the board of various community organizations, Matt continues to enjoy his passion for racing and adventure through his role as an active member and enduro racer with the Redding Dirt Riders. Earlier this month, Matt rode to 1st place in the B Vet Class during the annual Redding Dirt Riders’ Buckhorn Enduro Race and finished 14th overall in the B class. Impressive results despite running into a few obstacles along the way. 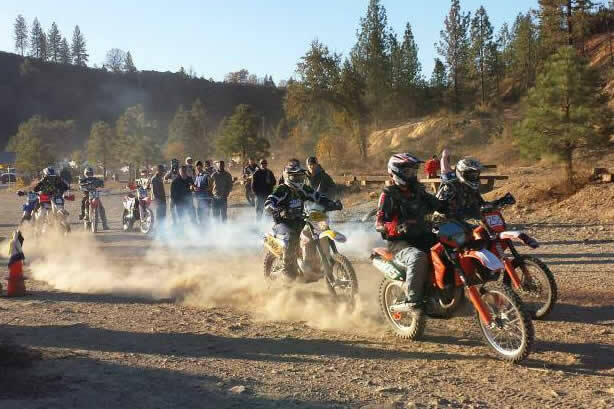 The event, held at the Shasta Dam OHV Recreation Park near Redding, CA, which lasted for four and a half hours and 80 miles saw approximately 100 race entrants and ended up being another successful bout put on by the Redding Dirt Riders. Get a firsthand look at the race below via footage from Matt’s helmet camera and follow along with him as he navigates through the grueling Northstate trails and comes out a winner.